Update: NoLay’s manager says the MC regained consciousness for the first time since her crash. According to a post on her Instagram account last night, April 24, grime MC NoLay is currently in a "critical condition" following a car accident. "Our girl is strong and we can only hope that she pulls through it," the author of the post wrote. A further update on NoLay's official Twitter states: "We do not anticipate much of a change in NoLay's condition at present." A statement sent to a BBC reporter by NoLay's manager today, April 25, elaborates further: "Currently NoLay isn't in a stable condition and remains unconscious from a car crash abroad." A rep for NoLay did not immediately respond to The FADER's request for comment. 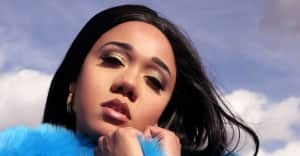 The artist, who has also used the name Isabella Gotti, first broke onto the grime scene in the early '00s with her crew Unorthodox and the fearsome 2004 single "Unorthodox Daughter," and in 2015 she made waves again with the searing, dark track "Netflix & Pills." She is currently in the midst of promoting her new single "Gotta Love It." See the full statements on NoLay's Instagram and Twitter below, along with well wishes from her peers. Update, 4/27/2016, 3:15 p.m. NoLay's manager says that the grime MC opened her eyes today. The Evening Standard reports that NoLay regained consciousness for the first time since her car accident. "NoLay is in a minimal conscious state occasionally aware of her surroundings," manager Tyler Jones told the paper. "But [she's] incapable of producing any reliable responses verbal or otherwise at present that rule out any signs of brain damage." "NoLay has a fractured pelvis, fractured vertebrae, fractured sternum and a nasal fracture," Jones continued. "She also has suffered a lot of bruising and swelling subsequently from the accident." He thanked all those who offered support for NoLay following her car crash. "Fans have been so kind and supportive with prayers," he noted. "It’s what is pulling our angel through. Myself and NoLay's family are entirely grateful and appreciative." Read the full story here. Woke up and have seen this terrible news about No Lay being in a car accident. Hoping she is ok. A genuine talent. Wishing Nolay a speedy recovery. Thoughts are with NoLay right now. Hope she makes a swift & full recovery.